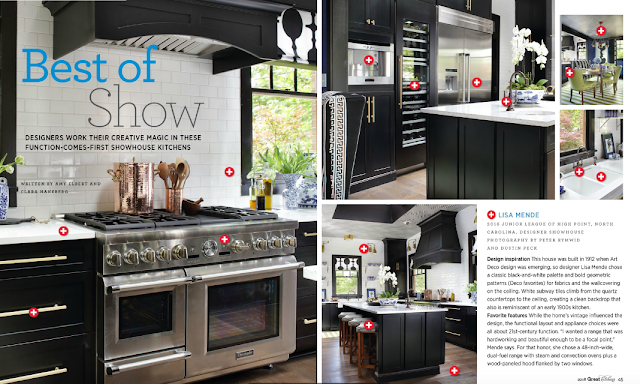 Lisa Mende Design is proud to be included in the Traditional Home "Great Kitchens" issue. Have had a chance to read it yet? It is a fabulous issue chocked full of design advice on creating beautiful kitchens, along with amazing features on entertaining and lots of great recipes too. The Terry Kitchen featured is one of my all time favorite kitchens. There is something about a "tuxedo kitchen" that I love. Black and white is so crisp and classic. This house was built in 1912 so I wanted to stay true to the era of the home, but I updated the look with bold graphic fabric shades at the windows from Cotton and Quill and geometric wallpaper on the ceiling from Cole & Son. My choice for appliances was my favorite and always "go to" appliance line Thermador. Countertops were from Wilsonart. This was a big kitchen so I decided to eliminate upper cabinetry and use Ann Sacks subway tiles counter to ceiling in gloss white which made the room feel so bright and fresh. I'm not going to tell you much more because I want you to pop over and read the rest for yourself. 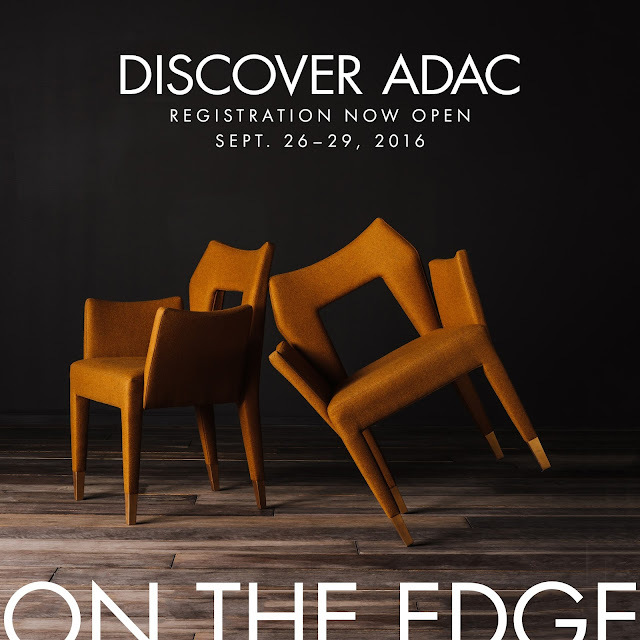 Lisa Mende Design Will Participate in Discover ADAC In September! September 26-29th! Make plans to attend this "not to be missed" event! Crossville Announces Winners for 2016 "Common Thread" for the Cure Scarf Contest! Crossville, Tennessee – Crossville, Inc. has announced the winners of the 2016 The Common Thread for the Cure scarf design contest, a biennial competition held in support of the nonprofit organization that provides practical support for members of the furnishings and interior design industries facing the challenges of breast cancer. For this year’s competition, there is a Judges’ Choice winner, as well as the People’s Choice winner determined by popular vote. The Judges’ Choice was selected by a panel of interior design professionals: Kathy Sandler of Nashville, Allan Dallatorre of Los Angeles, Lisa Mende of Charlotte, and Linda Holt of Boston. Both of the winning designs are being produced as scarves that will be available through Crossville distributors in early September, in anticipation of Breast Cancer Awareness Month in October. The scarf competition is just one of the ways that Crossville carries out its commitment to raising awareness of breast cancer and offering practical contributions to help those in the industry who are struggling with the disease. Since 2007, Crossville has donated more than $75,000 to The Common Thread for the Cure. Thank you to Crossville Tile Inc for allowing me to be one of the judges for this contest! There were so many great entries! 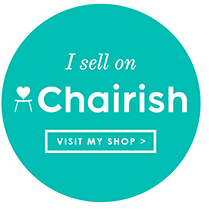 I am always happy to participate in such a worthwhile cause. Congratulations to the winners! I would like to thank all who participated! Together we will find a cure!